Update: ProShot has been pulled from Windows Store because of technical issues. Many users reported that they are unable to download the app. ProShot team posted on the twitter. Original Story: ProShot camera app is now available for Window 10 users. ProShot is one of the best camera app for Windows 10. The app was first released for Windows Phone 8.1. 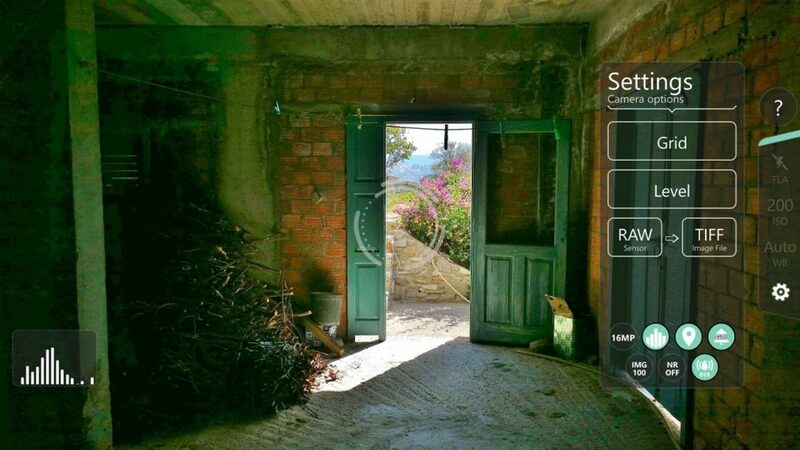 ProShot app for Windows 10 PC and Mobile brings new improvements and features. Auto, Program, Manual, and two fully configurable Custom modes, just like a DSLR. Shoot in JPEG or RAW (saved as uncompressed TIFF). Video and Timelapse / Intervalometer modes, all with full manual controls. ISO priority and shutter priority modes – set either ISO or shutter to Auto and ProShot will handle the rest. Front-facing camera with full manual control support. Adjust JPEG/TIFF quality, Noise Reduction, contrast, saturation, sharpness and more. Most innovative camera UI ever created. Manual, semi-manual, or automatic control. Record video in any mode (Auto, P, M, C1, or C2). Adjustable resolution, frame rate, and bitrate. Industry-standard options for 180 degree rule. Zoom and change any camera parameter, even during video recording. Real-time audio input levels Leave the heavy DSLR at home, ProShot’s got your back.